"Farming in the future" means drones and GPS guided tractors. To promote this project for Bayer. Helios Interactive Solutions asked me with creating an interactive presentation for multitouch screens. 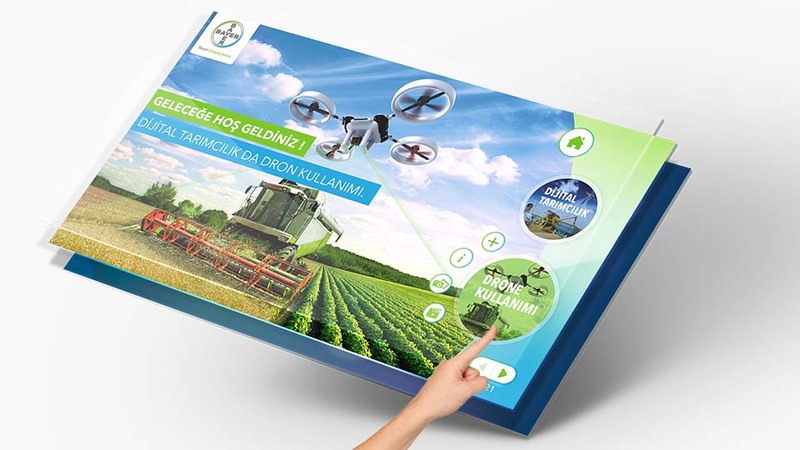 After creating a Key visual, which took place on the homepage, roll-ups and all other materials i designed an interactive User Interface.